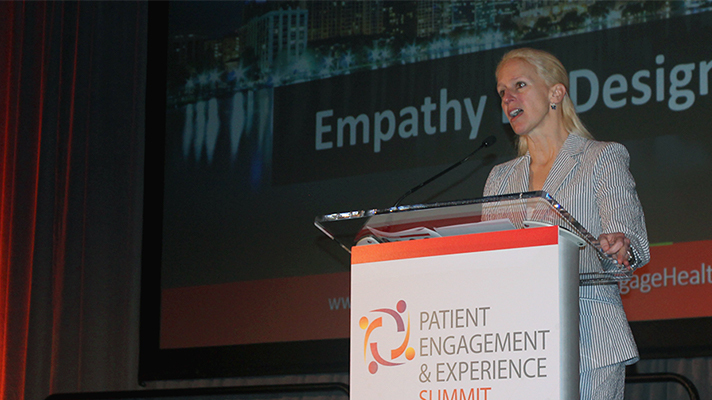 At the Patient Engagement and Experience Summit during HIMSS19, Cleveland Clinic Chief Experience Officer Dr. Adrienne Boissy took the stage to answer some attendee questions about the state of patient engagement. While the discussion was wide-ranging, an overall theme shined through: the importance of empathy. Read on for some patient engagement lessons. Boissy said that EHRs at their best have a lot of useful data to offer physicians about their patients. But doctors have to resist the notion that the data is all they need, or is even the most important information. Even so, there might be a way for the EHR to move toward being a more creative record. Via HCAHPS scores, reimbursement is at least somewhat tied to patient experience. But there isn’t really a reimbursement pathway tied to engagement. This can make it challenging to make incentives align. For instance, coding requirements that a hospital have different visit types might not align with creating a usable patient experience for a telehealth program. Boissy says it can be a mistake to assume patients want to be engaged, or to assume they want to be engaged in a certain way. For instance, for patients with deteriorating conditions like multiple sclerosis or Alzheimer’s, tracking can have a powerful negative effect. Cleveland Clinic has learned from that experience and has added some new questions to the standard assessment. Too many people in healthcare still think “patient portals” when they hear “patient engagement.” Boissy believes this conversation is pretty far afield of what’s important. Population health and data analytics are powerful tools. But, just like EHR data, they aren’t a substitute for engagement. And whenever a patient feels like he or she is being engaged as a member of a population, rather than as an individual, it won’t be a positive experience. “If we have a bunch of highly engaged patients and a bunch of walking dead clinicians, that is not the vision,” Boissy said. So engagement needs to be conceived of from the start as a two-way street. But furthermore, as hospitals choose tools and platforms for engagement, that relationship needs to be the cornerstone. Boissy ended her panel with a reminder that empathy is not a buzzword and not just a way of describing what a hospital is already doing.